When I was a child, I used to get sore throats a lot. My mom would take me to see the family GP, and I would be totally miserable for a few days because I was unable to eat most things. To make things worse, I developed a strong hatred for lozenges. I simply (to this day) would not eat them. That means a longer (and painful) recovery time. A few doors down from the GP was this bakery. After seeing the doctor, my mom would take me to the bakery and buy slices of pandan chiffon cake. That was about the only thing I was able to eat. And I guess from then, pandan chiffon became a major C.O.M.F.O.R.T. food for me. 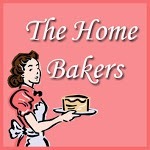 I have to admit that while I have been baking since I was 11, till very recently, I have never baked a chiffon cake. I am not ashamed to admit that the reason for this was the fear of failure. Chiffon cakes are notoriously hard to get right (or so I thought) and many cakes come out of the oven deflated and/or deformed. When I was pregnant with JL, I bought a chiffon pan. In my pregnancy-induced foggy (and overly ambitious) state of mind, I thought I would finally make that chiffon cake. Well, that did not happen, and the pan, still wrapped in the plastic bag that it came with, sat in a storage box for almost 2 years. A few months ago, I attended a bbq party at a friend's place. One of my friends, D2, was there and she had brought with her this chiffon cake that she had made. 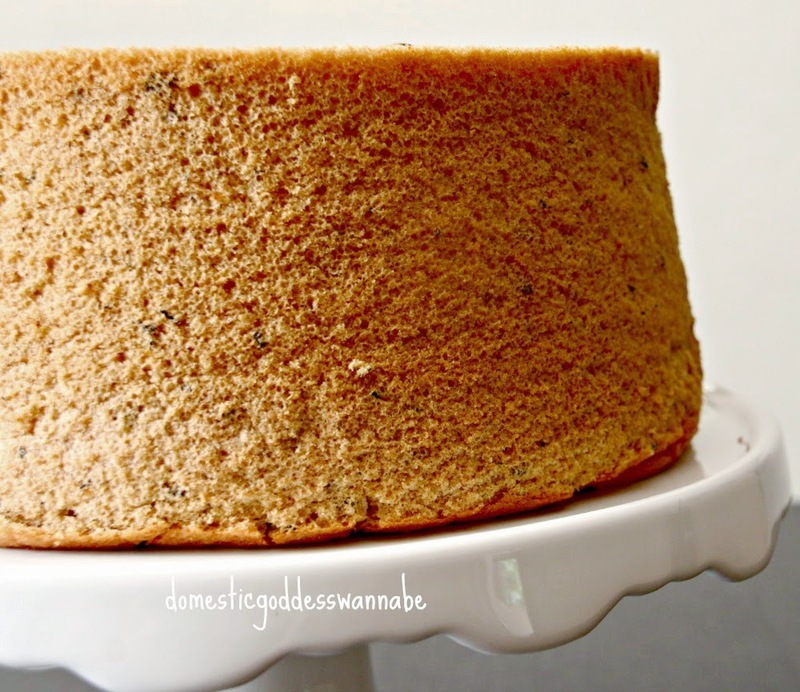 It was a tall and gorgeous chiffon cake and, that night, I became totally smittened by the idea that hey, maybe I can do that too! But again, not much happened, until last week. 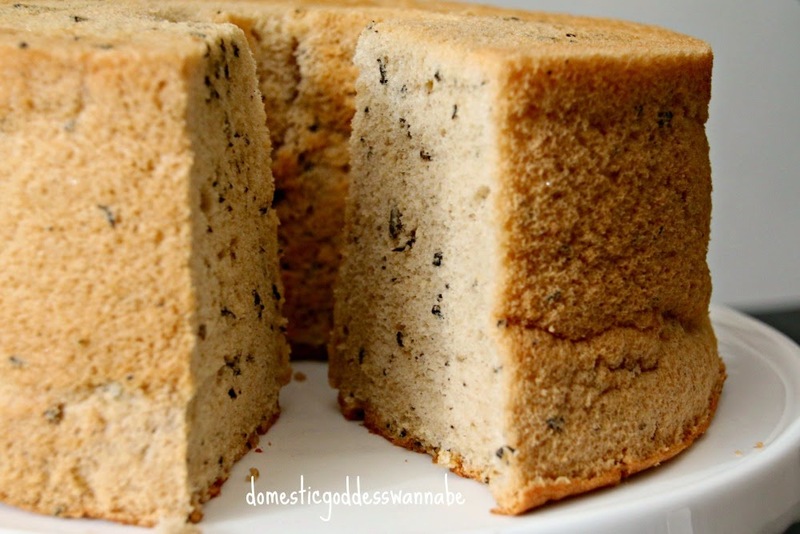 D2 sent me this recipe for a chiffon cake, and said, "Diana, you need to make this!" 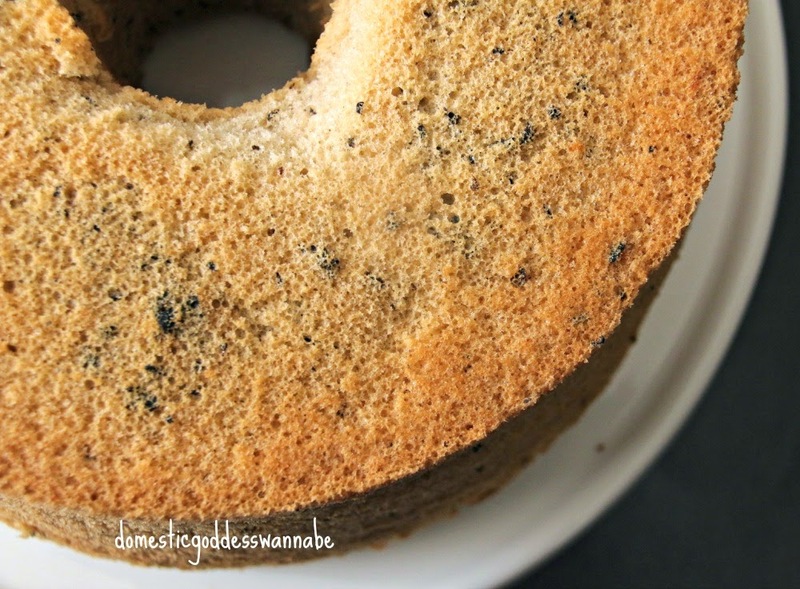 So I made an Earl Grey Chiffon Cake, and it was everything I had hoped for! My first attempt at making this cake that I had avoided for years was a success! Flushed with my success, I made the cake again for a family friend, and yet another for Aden's teachers at school. Today, I am sharing with you, my dear readers, this amazing recipe for a Passion fruit and Raspberry Chiffon Cake. This first thing I did was to empty the contents of 6 bags of Lipton Passion and Raspberry Tea into a cup. Into this, I added 120 ml of boiling water. I gave everything a stir, and set this aside to cool. Then I separated the yolks and whites of 6 large eggs. It is imperative that no egg yolk is mixed with the egg whites. Using a paddle on the electric mixer, I whisked the egg yolks until they became lighter in colour. Into this, I added the sugar and salt and continued mixing until the mixture became light and creamy. I added the oil, and continued beating for about 2 minutes. Then I dumped all the tea and tea leaves into the mixture, and mixed for another minute or so. Lastly, the sifted flour and baking powder were added, and mixed until all the flour had been incorporated. In another mixing bowl, I added the egg whites. If you do not have a second mixing bowl, transfer the egg yolk and tea mixture to another bowl and be sure to wash and dry the mixing bowl thoroughly before you whisk the egg whites. Once the egg whites become foamy, add the cream of tartar and continue whisking. Soon, soft peaks will form. By soft peaks, I mean that the peaks are just staring for form. They are soft and will melt back into themselves after a while. At this stage, continue beating, and add the sugar gradually and beat until stiff peaks form. Stiff peaks should point straight up, and not collapse. The mixture should be thick and heavy. Add about 1/3 of the egg white mixture into the egg yolk and tea mixture. Using a spatula or your hands, mix this in. Do not worry about being gentle. Once you have done that, add 1/2 of the remaining egg white mixture, and very gently, fold this into the mixture. Repeat with the remaining egg white mixture, until all the egg white mixture has been incorporated into the egg yolk mixture. Transfer the batter into a chiffon pan (never grease the chiffon pan), smooth the top as best as you can, tap it a few times to remove the larger air pockets and bake the cake for 55 minutes. Once the cake has been baked, ie, a skewer inserted into the cake emerges cleanly, invert the cake and and cool the cake upside down until the cake has cooled completely. Then, very gently remove the cake from the pan and it is done!! Note: I made this cake in a 23cm chiffon pan. Do not grease the pan! 2. Cut the tea bags, pour contents into a bowl. Add hot water and mix. Set aside. 3. Sift flour and baking powder. 4. Using the paddle of a mixer, mix egg yolks, salt, and sugar until mixture is light and creamy. 5. Add oil, and continue to whisk for about 2 minutes. Add tea and leaves. Whisk for an additional one minute. 6. Add flour and baking powder in 2 batches. Mix until all the flour has been incorporated. Set this mixture aside. 7. Using the whisk of a mixer, whisk the egg whites until they are foamy. Add the cream of tartar and continue whisking until soft peaks form. 8. Add sugar gradually. Whisk until stiff peaks form. 9. Add 1/3 of the egg white mixture to the egg yolk mixture. Mix. 10. Add 1/2 of the remaining egg white mixture into egg yolk mixture. Gently fold the egg white mixture into the egg yolk mixture. Repeat with remaining egg white mixture. 11. Transfer to a chiffon pan. Tap gently to remove the larger pockets of air. 12. Bake for 55 minutes. 13. Once baked (a skewer inserted emerges cleanly), invert pan and cool cake completely. 14. When completely cool, remove cake from pan and serve. Oh!! This is a lovely chiffon cake. I love the aroma of Lipton tea of passion and raspberry tea.